SUPER Easy 10 Minute Chair Update – Uniquely Yours… or Mine! First let me start off by saying that this chair “makeover” really took me less than 10 minutes to finish, which includes me taking the award wining photos seen below (seriously don’t be jealous)! First I started off with this “blah” vanity chair that the previous owners so graciously left for me. I do use the chair because my vanity is SUPER short even for my 5’5 frame so sitting down to put on makeup is a must. Also, we have updated NOTHING in this bathroom since we moved in so I really wanted to inject a little bit of “me” into the space so I started with this. 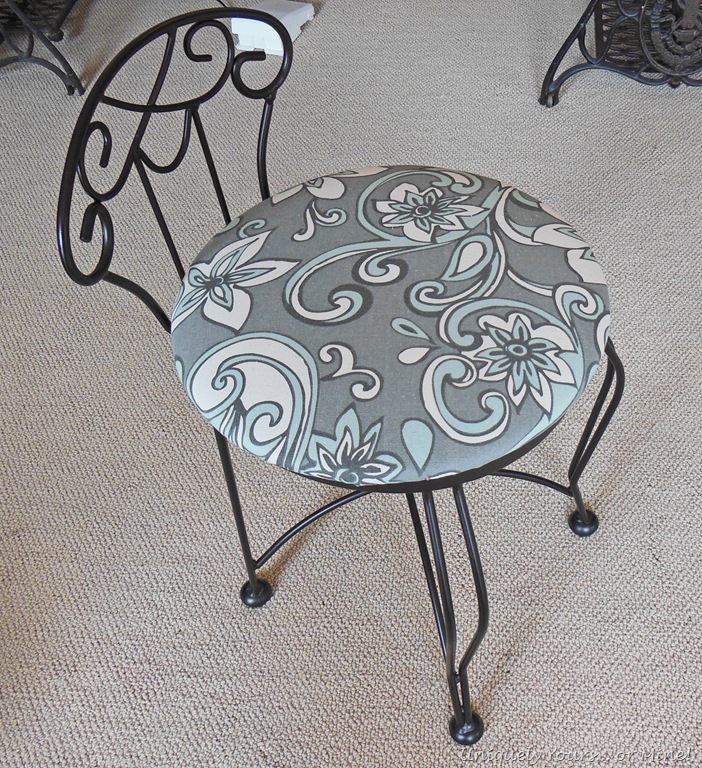 I removed the seat, cut a square of fabric I had on hand 3” wider than the seat and “place tacked” the fabric on. Place taking means that you slightly angle the staple so that it is easily removed once you get to that space. 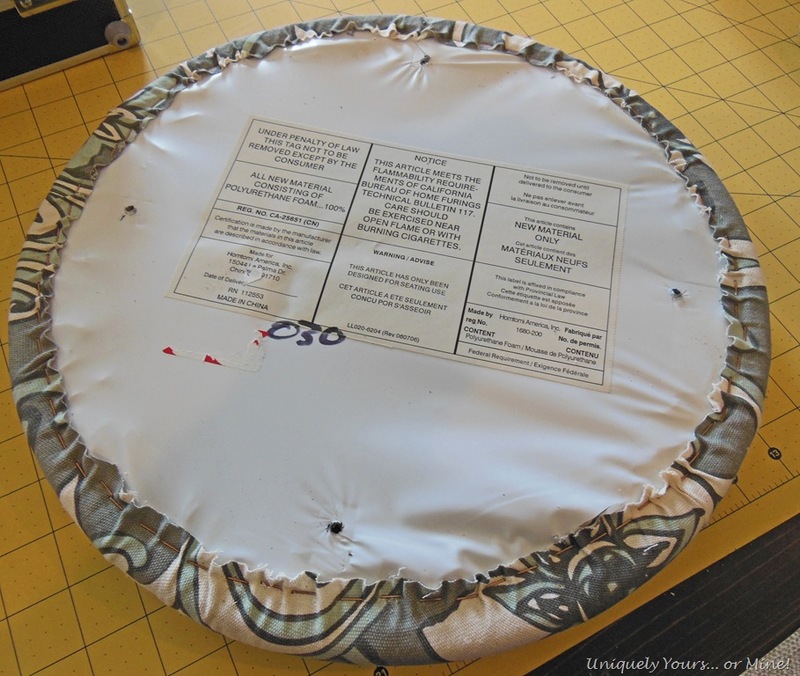 It is very important to place tack in order to ensure your fabric is placed properly. I am still using my AWESOME electric stapler by Maestri, it cost me about $130 but was well worth it and so much easier than lugging out a air compressor for such a small job. I stapled around the edges pulling the fabric taught (NOT TIGHT) working my way from one staple to the next, removing the place staples as I got to them. If you do it this way you should have no to very little wrinkles along the outer edge of your seat. Once done it looks like this. I then trimmed the excess fabric close to the staples. I realigned the chair back on the seat cushion and reattached it with the original screws. Most seats will be attached in a very similar way so it makes reupholstering the cushions very easy. Here it is all finished up, like 8 minutes later! Seriously so easy I’m a little irritated I waited so long to do this! 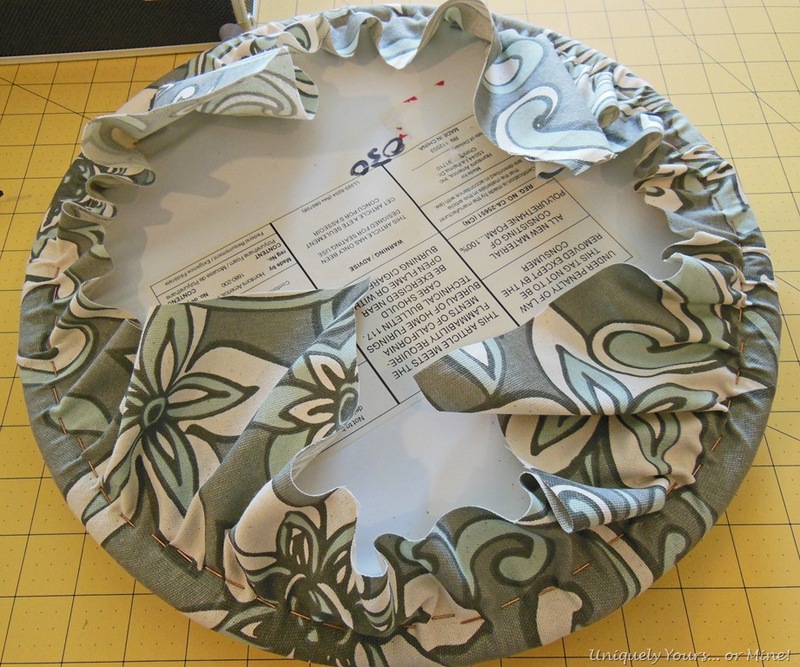 I hope this inspires you to try a little upholstery too! 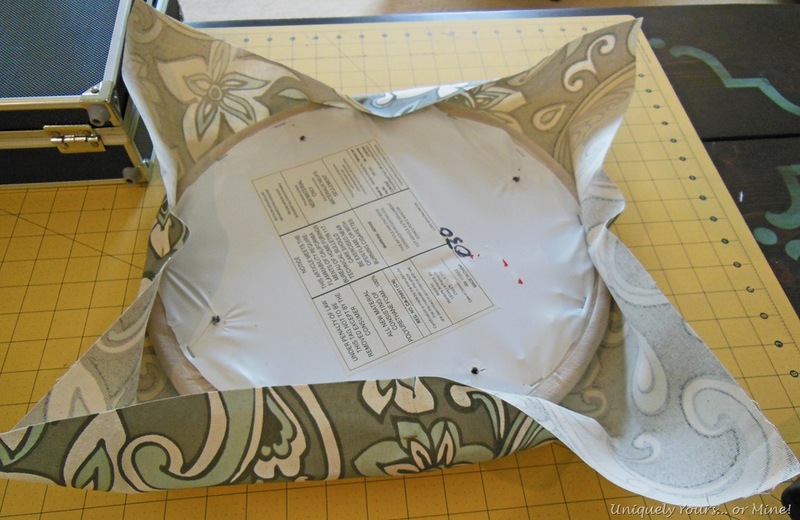 These types of chairs are so simple to do, but I will say it helps to have the right stapler. I have had MANY non electric staplers over the years and I cannot say enough about the ease of using this one. If you are going to do a large project or if you may do many projects over the course of a year I would recommend buying the best stapler you can afford, it will make all the difference in the world I promise! Hope you have a GREAT weekend, we can see Spring coming and I cannot wait to get outside and do some gardening! Love the fabric you chose. 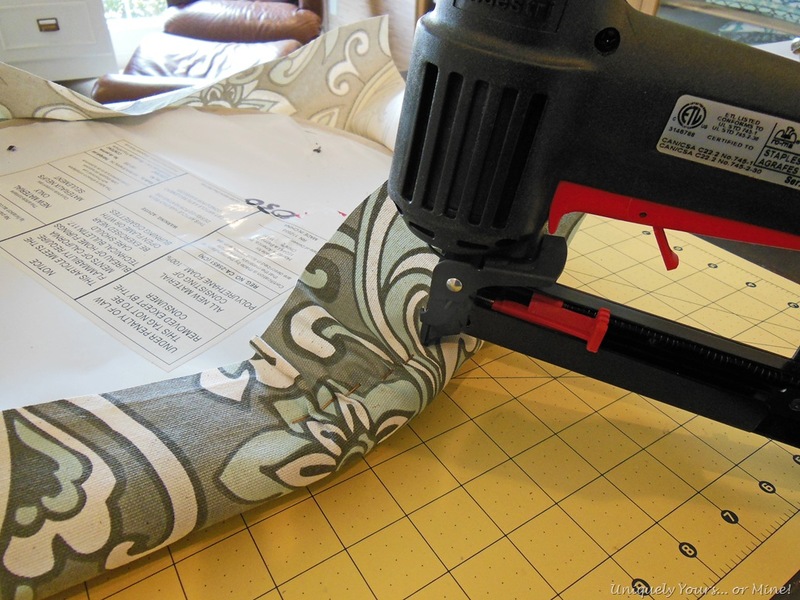 My hubby does all the stapling and I am the holder of the fabric, LOL. We have a great time together. 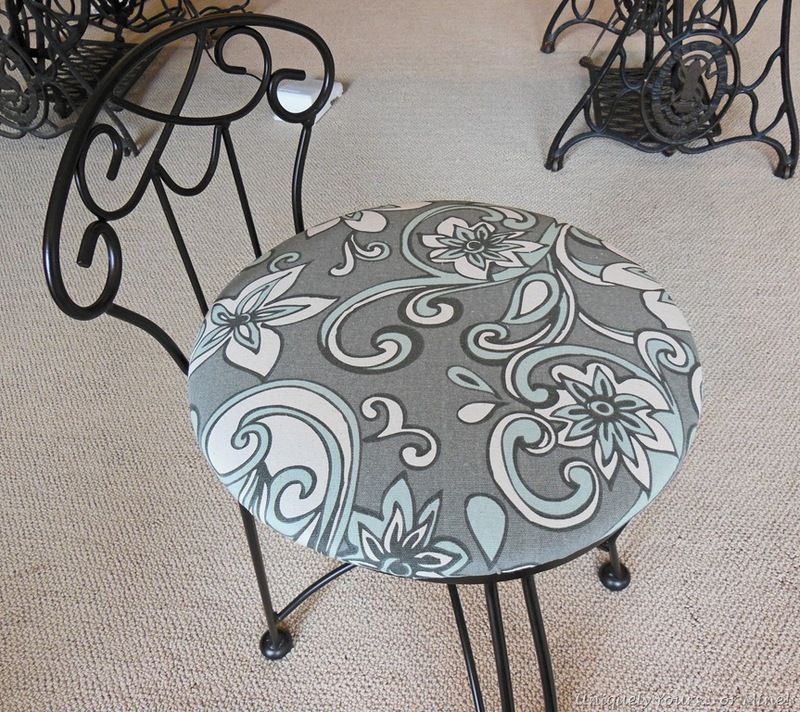 That fabric is a great choice for your chair – love the color and the swirls. I definitely need a better stapler!. Thanks Sharon! This stapler is AWESOME and so easy to just pull out and use. I have used it for big and small jobs and it works great. Prior to buying this I had spent a ton buying different kinds of staplers from Lowes / HD… if you have to replace yours consider investing in this kind. It really is lovely! I recovered my vanity stool with a remnant I did a ‘practice’ embroidery on. It turned out beautifully. 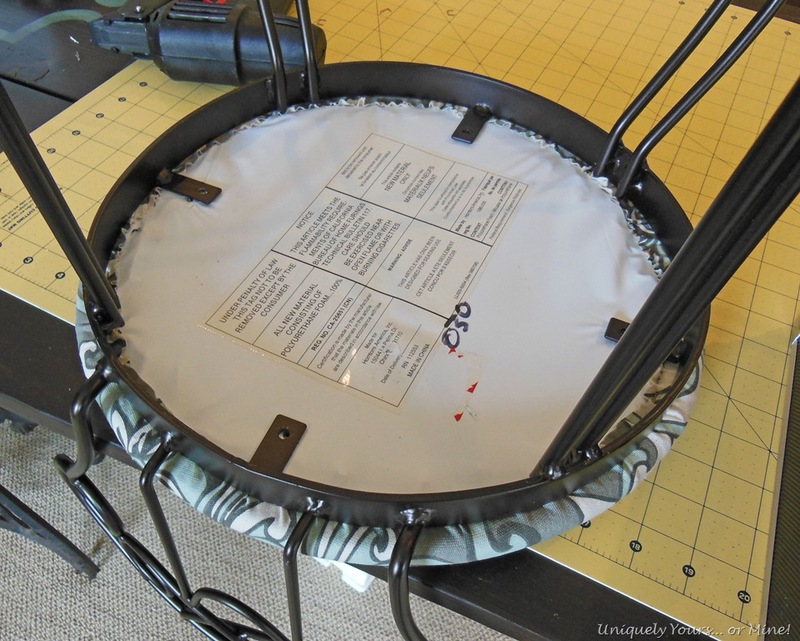 I am interested in the top of your treadle machine base I could see in the picture. Thanks Cynthia! Wow, embroidery.. super pretty! 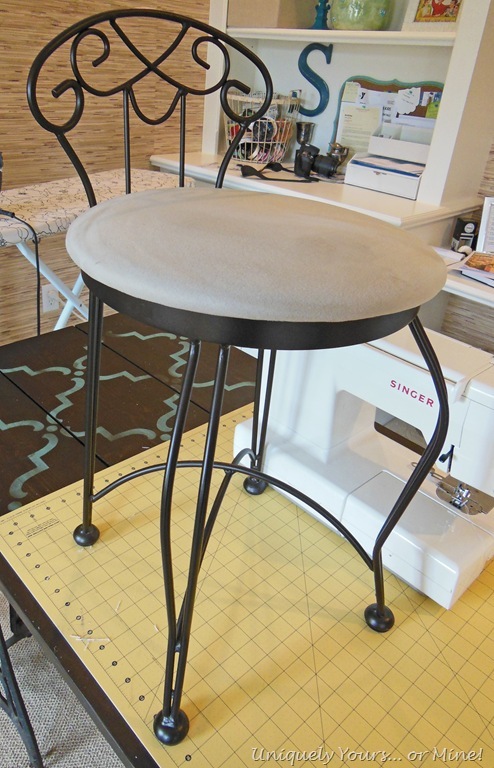 You can read about my table here https://uniquelyyoursormine.com/2013/01/01/its-called-using-what-youve-got/ I am using it in my office now, to sew on, craft and clearly to upholster small stools too… I LOVE it! Nice job refreshing that “blah” chair, love the material you chose! Thanks so much Cindy, it was a ridiculously quick update! 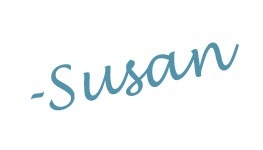 I just found your blog and am so glad I did. You do such magic with paint and fabric which is giving me the courage to try some of your tricks on several future projects at our home. Thanks for sharing your ideas. I am particularly interested in the paint job on your cabinets. Keep up the good work! Thanks Diane, I hope to get the kitchen cabinet post up soon! Good luck with your projects! 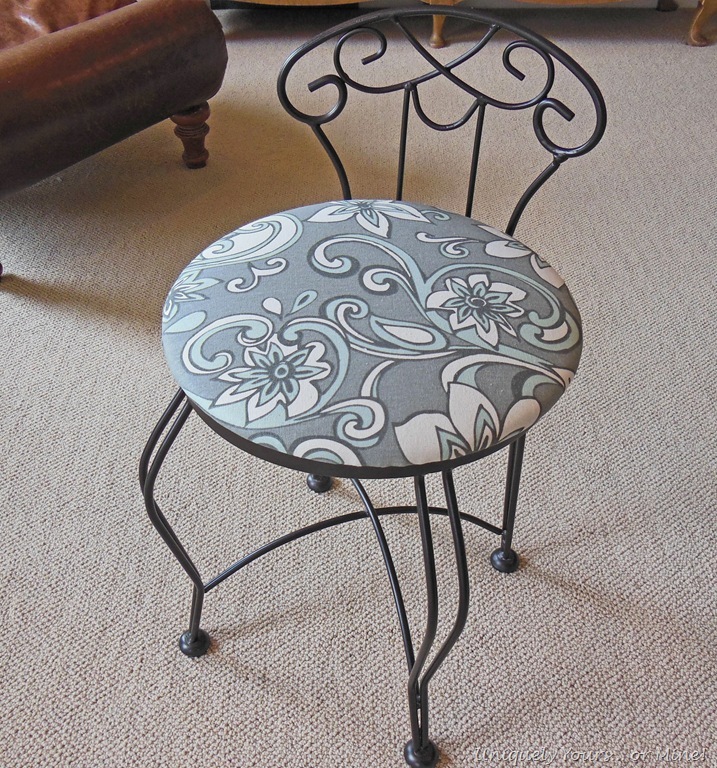 That is a super choice on fabric..the swirls in the fabric really pick up on the design on the back of the chair…I just love it! Thanks so much Tamara, it was a super fast update!